If there’s one thing you probably know about me, it’s that investing in quality wardrobe staples is an essential part of my style. Whether that’s a sleek neutral handbag or a timeless pair of Celine sunnies, I always look for pieces that will go with everything but also look “of the moment”. 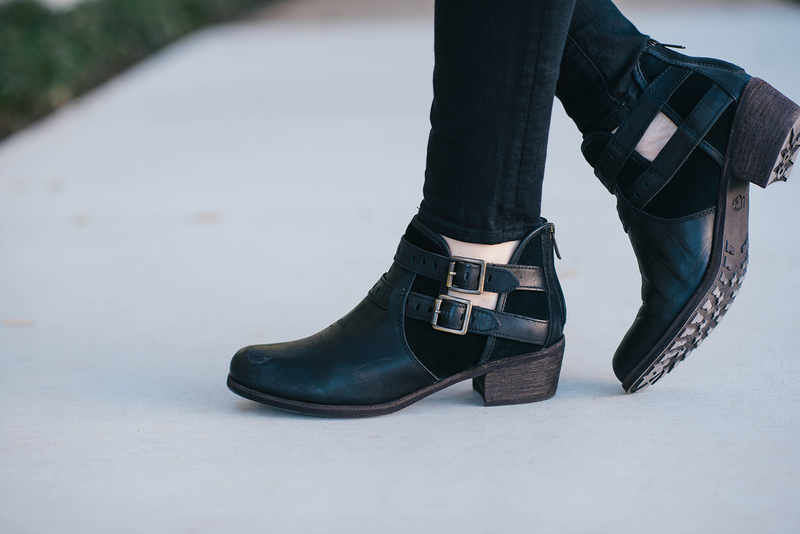 Subtle details like the buckles on these boots add interest without taking anything away from the classic ankle boot style. The lower heel makes these boots a very wearable option all day, and the shearling lining doesn’t hurt either! They make a great transitional travel shoe, since they feature breathable cutouts by the buckles AND shearling. You get the comfort you want from an UGG Australia boot without looking like you just came off the mountain. You can walk off a plane in cold Colorado or mild Texas in these boots and not be stared at for seasonally inappropriate style! A few more styles I’m loving right now include this worn-in style bootie, this versatile water-resistant suede sneaker, and these boots that totally remind me of what Elena used to wear on The Vampire Diaries all the time. These are a little rugged and look so cute with a boho-style dress for spring. 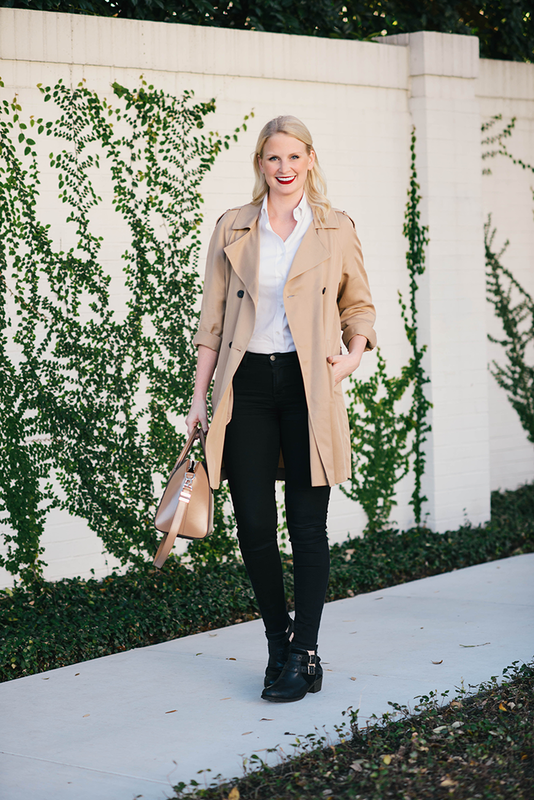 Love this classic look, this trench is a beauty. Love this dark red lip on you! Happy Monday Merritt! What a great outfit Merritt! So classic. I am always one for neutral colors. So cute! Love the red lipstick…so pretty know you! What a wonderful outfit and that lip color is beautiful on you! 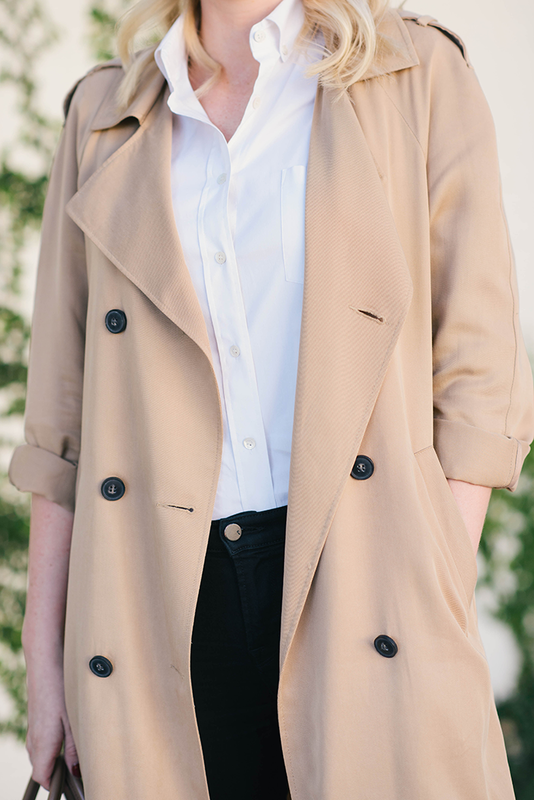 I love that trench! super cute! 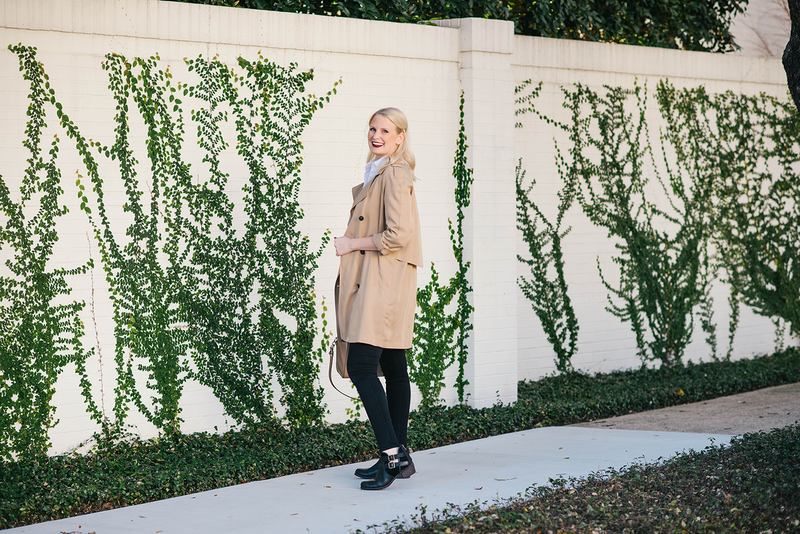 Love the less structured trench! That red lip looks amazing on you! This is such a great classic and chic outfit! these boots are great!!! 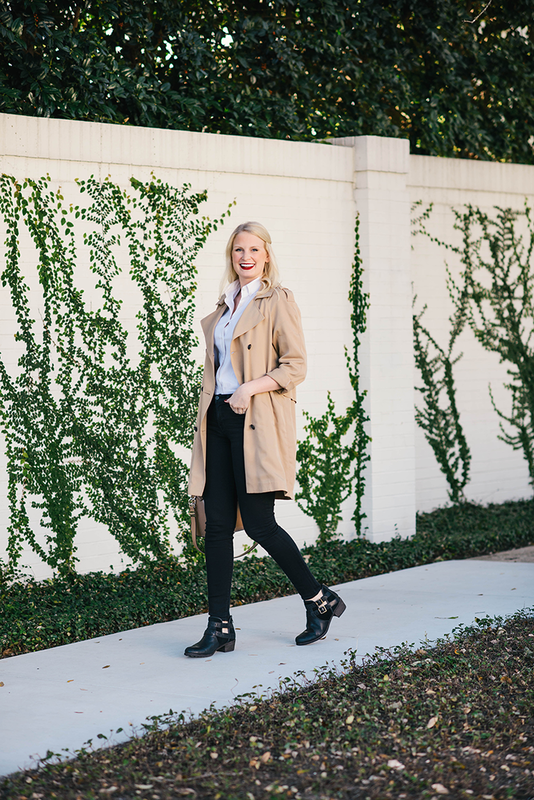 so cool and I love that they’re flat as we walk a ton :) also love the trench coat, I recently got one and it’s so versatile! great look!! 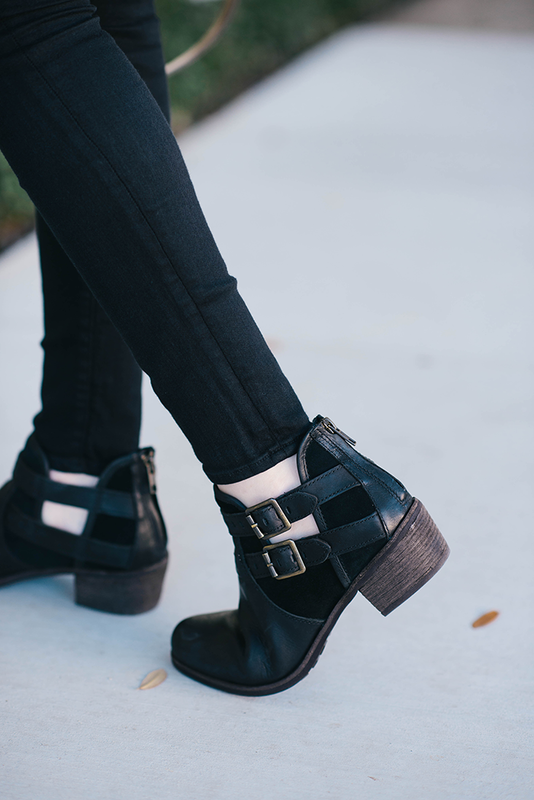 Definitely a great, wearable bootie! This is one of my favorite color combos. 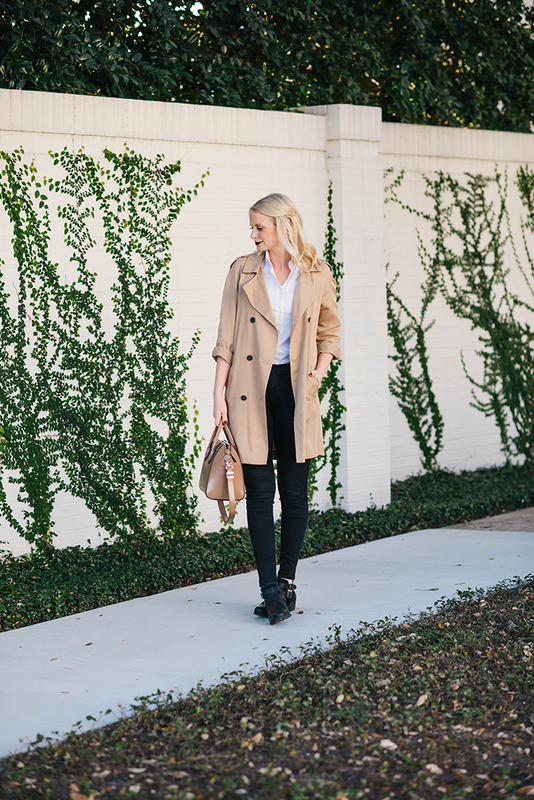 Great trench coat, A staple that every girl should have in her closet, along with that fabulous bootie. Loving those booties! Perfect for running errands or for travel!